Sun Pharma said it had incurred a one-time tax expense of Rs 513 crore - related to changes in US tax rates - in the year-ago period. Sun Pharmaceutical Industries shares jumped more than 4 per cent on Wednesday, a day after the drug maker reported strong quarterly earnings. The share price of Sun Pharma advanced as much as 4.2 per cent on the National Stock Exchange to touch Rs 455.00 in morning deals, compared with its closing price of Rs 436.60 the previous day. 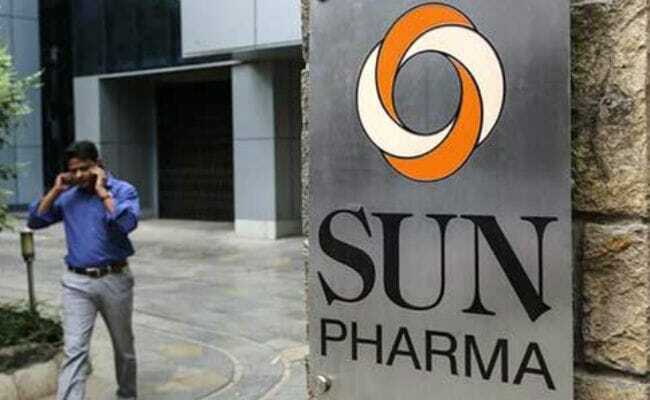 Sun Pharmaceutical Industries (Sun Pharma) shares traded with high volumes during Wednesday's session. At 10:54 am, Sun Pharma shares traded 1.5 per cent higher at Rs 443.30 on the bourse, outperforming the markets. The pharma company said it had incurred a one-time tax expense of Rs 513 crore - related to changes in US tax rates - in the year-ago period. Sun Pharma's sales in the US account for more than 34 per cent of its total sales. Sun Pharma said its India sales grew 7 per cent to Rs 2,235 crore, while US sales increased 10 per cent to $362 million. The Sun Pharma shares' price has declined 35 per cent over the past five months. As of 11 am, around 9.5 lakh Sun Pharma shares had changed hands on the Bombay Stock Exchange (BSE), compared with a two-week average of 5.6 lakh, stock exchange data showed. Sun Pharma shares were among the top percentage gainers on benchmark indices Sensex and Nifty in morning.